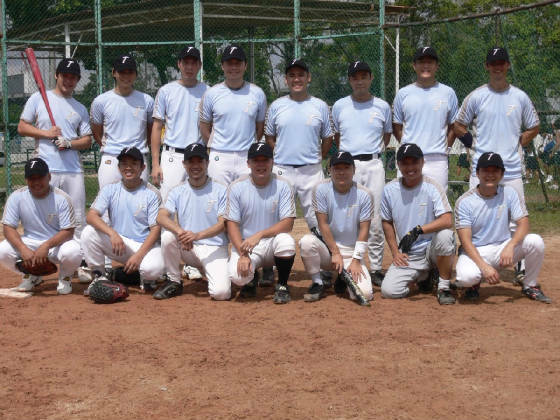 If you want to play baseball in a friendly team, join us ! The Typhoons offer a friendly and multicultural environment for playing baseball. The team is made up of enthusiatic players in Singapore from all over the world, giving us a truly international flavour. Let's recreate the excitement of playing baseball here in Singapore ! We are getting geared up to prepare for this season. To join a team that is passionate about the game, please drop me a mail. Training is getting better as we are getting in shape week after week. We need everyone to come down to start working seriously on specific plays, so see you all on Sunday! With regards to our website, we have moved to www.baseball.sg This new website is hosted and maintained by our very own Issac Koh.